MSH International - Americas, formerly known as Norfolk Mobility Benefits, is a leading worldwide provider of expatriate insurance solutions. We are proud of our successes in developing cost-effective plans to meet the specific needs of our clients. MSH is a subsidiary of Paris-based Mobility Saint-Honore, a member of the Siaci Saint Honore Group. MSH is one of the largest and most comprehensive suppliers of expatriate insurance services in the world with more than 160,000 insured participants. Click here to visit their web site. Since 1980, MSH International - Americas has been building partnerships with companies around the world by providing exceptional service and expertise in benefits consulting program design and administration. Whether your operations are cross-border or truly international, and whether you're looking for a program design or complete outsourcing service, we bring a well-informed, global perspective and creative problem solving techniques to your doorstep. Our goal is to work with you to develop flexible, cost-effective programs and services that make sense for your company and your employees. Norfolk Mobility Benefit's NMET plan is a trust program designed for small expatriate groups of 3 to 10 eligible employees. NMET has 2 comprehensive level of medical benefits comprised of Option 1 and Option 2. Option 1 has a $0 deductible and Option 2 has a $500 deductible. Each plan pays 100% of most eligible charges after the deductible. Your expatriate employees can choose between seeking care in the country of assignment or anywhere in the world including the United States. Dependents of expatriate employees are also eligible. Global Benefits can create an appropriate solution to meet your organization's expatriate benefit needs. 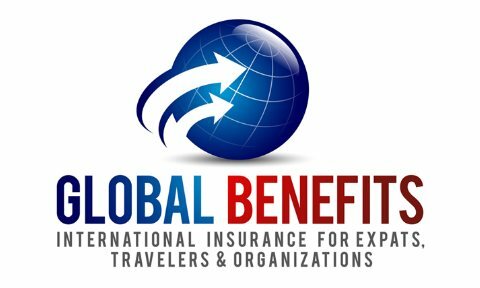 If you have more than 10 employees that require international medical insurance then Global Benefits and Norfolk Mobility Benefit can work together to create a custom plan for your unique requirements. We would be happy to discuss your specific needs with you. Contact Global Benefits. Many international expatriate insurance plans offer limited choice of benefits – typically medical and dental only. The NMET plan has a complement of optional benefits including: 2 Dental Plan Options, Life/AD&D, Evacuation/Repatriation and both Short Term & Long Term Disability insurance. Qualifying expatriate groups of 5 or more employees will not have to submit to medical underwriting. This ensures that your organization can move forward with the employees you want overseas. Note that there are other underwriting standards that apply, such as country of assignment and nature of work. Groups of 2-4 employees are subject to underwriting approval. If your company requires coverage not found with the NMET please contact us. We can work with Norfolk Mobility Benefits to create a completely customized program. The NMET is available in two different plan choices – Option 1 & Option 2. The only difference between these plans is the deductible level. NMET offers one of the widest selections of optional benefits available to small expatriate groups. For a summary of these optional benefits, please review NMET Plan Option 1 and NMET Plan Option 2. NMET offers two levels of dental coverage. All levels include coverage for Preventative Services, Basic Services and Major Services. Orthodontia is also included in Dental Option 1. NMET will pay 100% of the cost of a medical evacuation or repatriation. Medical expenses associated with an evacuation are also covered. This benefit is not subject to a deductible but does require the MedEx assistance team to coordinate the medical evacuation or repatriation. NMET offers four different optional disability insurance plans, depending on if the employer wants a US or European style of program. Short Term (STD / Weekly Indemnity): Up to 60% of base weekly earnings, maximum weekly benefit of $1,500. Waiting period of 0 days for accidents and 7 days for sickness. Employers can choose between a 90-day and a 180-day benefit period. Temporary Total Disability (TDD): Up to 60% of base weekly earnings maximum weekly benefit of $1,500. Waiting period of 0 days for accidents and 7 days for sickness. 12 month benefit period. Permanent Total Disability (PTD): Up to 3X salary with a $500,000 maximum. 12 month elimination period. Long Term Disability (LTD): Up to 70% of monthly salary, maximum monthly benefit of $10,000. Waiting period of 90-days or 180-days. International life insurance is one of the most difficult types of coverage to find for groups fewer than 10 lives. The problem is compounded for expatriate employees working in higher risk countries. NMET allows for up to 5X salary to a $500,000 maximum. Norfolk Mobility Benefits offers a number of unique tools and services to provide expatriate members the resources they need to be successful. By using these tools and services, members can locate quality healthcare quickly and Norfolk Mobility Benefits can arrange to pay providers directly. This allows expatriate employees and their dependents to focus on their overseas assignment. MEDEX and Harvard Medical International have created the most robust medical information resource available today. Watch this 5 minute video to learn more. Employees – Instant access to vital claims information, print new ID cards, download forms, search for doctors and hospitals anywhere in the world. Employers – Identify covered employees, online enrollment service to monitor or update information, access Billing Management System, and much more. NMET members can access Norfolk Mobility Benefits 24 hours a day 365 days a year. Employing a highly trained multilingual staff means that Norfolk Mobility Benefits can assist your expatriate employee anywhere in the world under a wide variety of circumstances. Norfolk Mobility Benefits offers NMET members a wide range of options and tools to assist with the claims process. Many of these tools are available through a special member website. We highly recommend that members log on to the Norfolk Mobility Benefits site in order to access these tools. NMET members can submit claims to Norfolk Mobility Benefits in virtually any language and receive reimbursement in a wide range of currencies. NMB's multilingual assistance team can help you with hospital admissions; their on-staff physicians can provide medical advice and verify benefits 24/7. Ninety percent of claims are processed within 10 business days. We recommend that you contact Norfolk Mobility Benefits immediately if you have an emergency, require medical transportation, have an upcoming surgery or need to be hospitalized. Norfolk Mobility Benefits multilingual assistance staff is ready to assist you 24/7. Some services require NMB’s coordination in order to be covered. Please Click Here to review the claims procedures and to see a sample claim form. Suite 1100, 940 – 6th Avenue S.W. The NMET is designed for groups of 3 to 10 expatriate employees. If your organization has one or two expatriates then please refer to our individual international health insurance page. If your employee group is 11+ then either complete the group health questionnaire or contact us to discuss in detail. All NMET employer groups renew on 1 March. Coverage can be terminated by Norfolk Mobility Benefits if the group falls below three employees. Full-time employees residing outside their country of citizenship. A limited number of key local nationals are also eligible. Residency is generally determined as physically spending at least six months a year abroad. For 5+ groups, medical history is not a factor in determining employee eligibility. If you have a group who may qualify for the NMET plan, please click on the Quote tab and download and Request for Quote form to be forwarded to Global Benefits, or contact us directly. We will work with you to determine whether the Global Health Advantage program is the right fit for your international employees.